In order to stay at the forefront of technological innovation and evolution, many NBA teams announced that they plan to participate in NBA 2K's eSports League. The NBA 2K eSports League, which is the first operated by a U.S. professional sports league, will debut in 2018. The competitive gaming league that will bring together the best basketball gamers in the world. 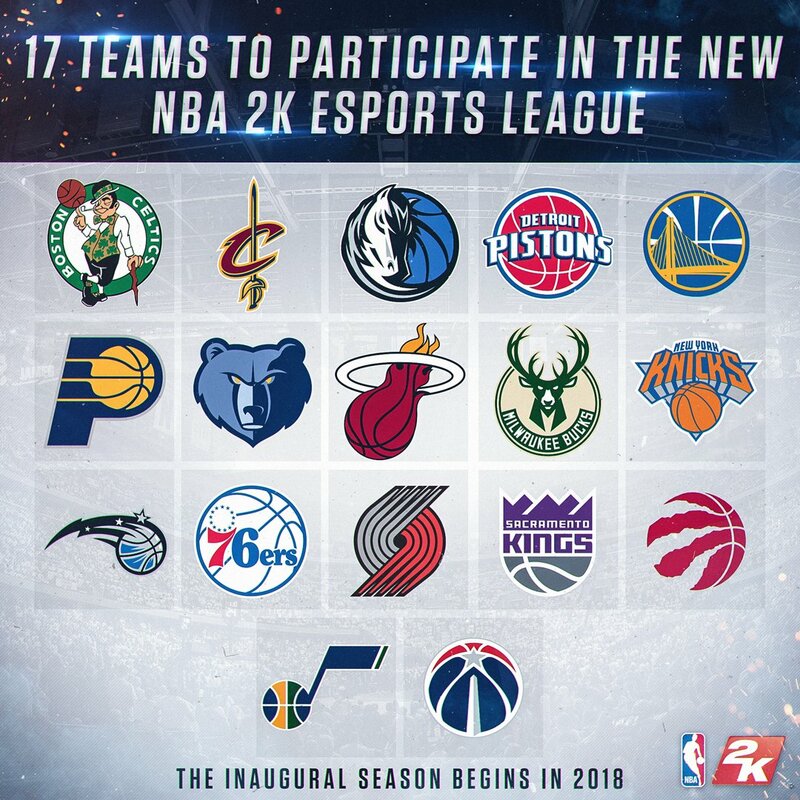 17 participating NBA teams will start forming their teams for the 2018 NBA 2K esports league. "This is the first step in what promises to be an extraordinary league, bringing together the world's best gamers and showcasing elite competition on an international stage," NBA 2K esports league managing director Brendan Donohue said in a statement. "Our teams have expressed tremendous enthusiasm for esports, and we are looking forward to forming something truly unique for basketball and gaming fans around the globe." The inaugural NBA 2K League season will debut in 2018, and the participating NBA teams will have their own NBA 2K franchises that made up of 5 players using their MyPlayers.